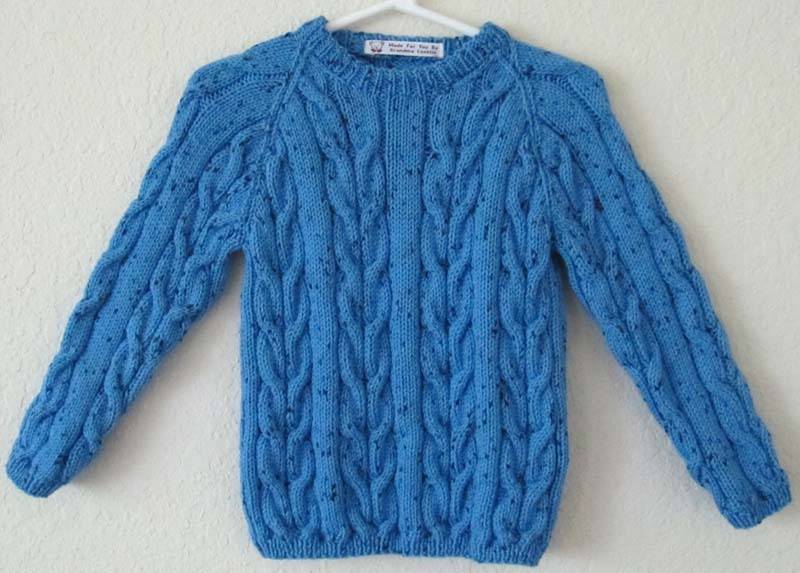 I've finished the raglan cabled sweater for my Grandson, Braydon. The yarn is machine washable and dryable, excellent for an 18-month-old toddler. The yarn is very soft and can be worn next to the skin. I chose this color to match his blue eyes. Note: Didn't add the button placket on the back raglan seam - unnecessary for a size 3 pullover.